As the Executive Vice President of WNY and CNY Operations, John is responsible for the overall execution and day-to-day operating activities for contracted work in Danforth’s Western New York and Central New York regions, to ensure the company is meeting all project-related forecasts. Other areas of responsibility include project management mentoring, union relations, purchasing and sub-contractor management, and oversight of Danforth’s CAD department and fabrication shops. John has more than 30 years of construction experience. He began his career at O’Brien & Gere Engineers Inc., located in Syracuse, New York. From 1988 to 1997, he served the company as a Design Engineer, Project Engineer, and Senior Project Engineer. From there, John moved to Buffalo, New York to join the Danforth Team as a Project Manager. In 2004, John was promoted to Senior Project Manager. Then in 2010 he accepted the role of Vice President of Construction Service, a position he held until his promotion to Executive Vice President in June of 2018. As Vice President of Construction Service, John oversaw Danforth’s Project Managers, field labor relations, purchasing and subcontractor relations. John has been involved in many impressive projects in regards to size and complexity since joining the Danforth Team. Recent projects under his leadership include the new University at Buffalo Jacobs School of Medicine and Biomedical Sciences, the John R. Oishei Children’s Hospital, and projects at New Era Field, General Motors, Riverbend and GlobalFoundries. 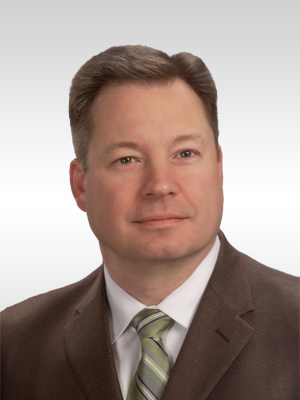 John received a BS in Civil Engineering from SUNY Buffalo and has been a Certified Professional Engineer since 1992. Additionally, John is LEED GA Certified and has graduated from both the Advanced Leadership Institute of the MCAA and the Babson Executive Education Program. He currently serves as president of the WNY Plumbing & Mechanical Contractors Association.